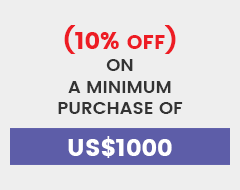 In an attempt to promote science and advance biomedical research, AUM BioTech in collaboration with The American Society for Cell Biology is pleased to announce discounts on all products for all ASCB members. In addition, several other benefits will be announced shortly. If you are not an ASCB member, become one today. AUM BioTech is an American Biotechnology company that offers innovative genetic tools in the area of RNA silencing and regulation for basic, transitional and pre-clinical research. Our FANA RNA silencing and regulation technology can be used to target a variety of RNA modalities such as mRNA, microRNA and long non-coding RNA. AUM BioTech's next generation self-deliverable RNA silencing technology provides superior and cheaper alternative to CRISPR, siRNA and shRNA approaches. AUM's next generation technology supports researchers and scientists all over the world to save time, resources and money. The ASCB member community can get upto 30% discount on all AUM BioTech's products. Use the promo code ASCB2017 at checkout.